Can dogs eat Graham crackers? Healthier alternatives? Vet approved! raham crackers, Ritz Crackers and Cheez-Its are family favorites, especially with summer around the corner. However, it is important to remember that they may not be the healthiest treat option for our furry friends. Since Graham crackers are a staple for cookout season, it is very difficult to avoid letting your canine companion indulge in a couple too! Chances are letting your dog have a cracker here and there will not result in long term effects. However the high sugar, carbohydrate and sodium content per serving make Graham crackers a treat to avoid for the long term. What about Graham crackers is unhealthy for dogs? Graham crackers contain a lot of carbohydrates from refined wheat and sugar. As mentioned in other posts as well, you should try to keep your canine companion’s carb intake to a minimum. This is especially important since many commercial dog foods have all the carbs Fido needs to maintain steady energy throughout the day. As your dog digests the carbohydrates from wheat they are converted to sugars your furry friend can use for energy. 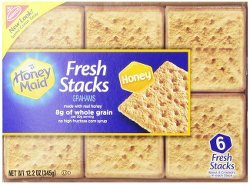 Graham crackers contain refined wheat, added sugar and even honey! Adding a refined wheat product that contains added sugars as a treat you likely increase your pooch’s risk for obesity, diabetes and dental issues. If you do decide to give your puppy a Graham cracker treat, or they take one without asking, remember every dog’s digestive tract is different. Your pooch may have a sensitivity to wheat or other ingredient. If your dog displays signs of a wheat allergy such as diarrhea or itchy skin on their face be sure to consult your local veterinary hospital. 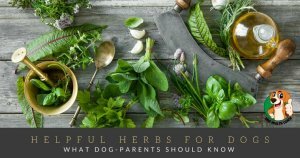 What can I treat my dog to instead? A great way to avoid the temptation of giving your dog human food is to keep a low calorie dog snack on hand. Not only should the treats be balanced according to current Association of American Feed Control Officials (AAFCO) standards, Pet MD recommends not letting treat consume more than 10% of your pup’s daily diet. If you really want to share your diet, you can offer air popped popcorn with your dog as long as it doesn’t have butter or salt. 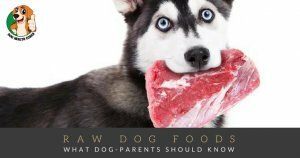 Be sure to check out our info graphic on human foods dogs can and can’t eat for alternatives. What is dogs favorite treat? Graham crackers? Let us know in the comments section.